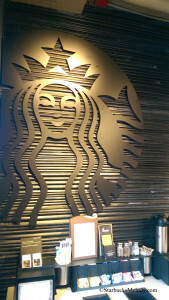 I thought it would be fun to take a look at a couple of unique Starbucks stores. This past weekend, I drove down to Portland to see the prefab construction drive thru Starbucks at 60th and NE Columbia. The address is 6020 NE Columbia Boulevard in Portland, Oregon, and the store’s grand opening was May 28, 2014. 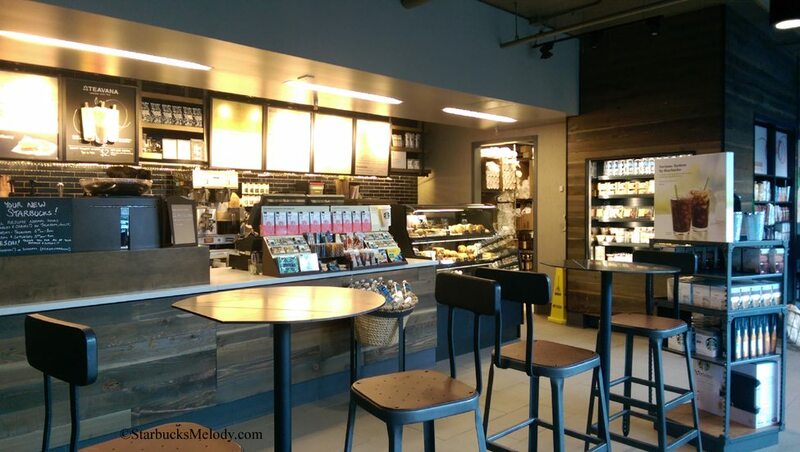 This store again reminds me that it’s very difficult to look at a Starbucks and have any idea what kind of store design it is. This Starbucks looks convincingly as if it is a shipping container store, however it’s a prefab construction design. Before you take a look at the photos I took, I recommend that you go back and read this article here: Woodburn, Oregon: 19 special drive thrus. 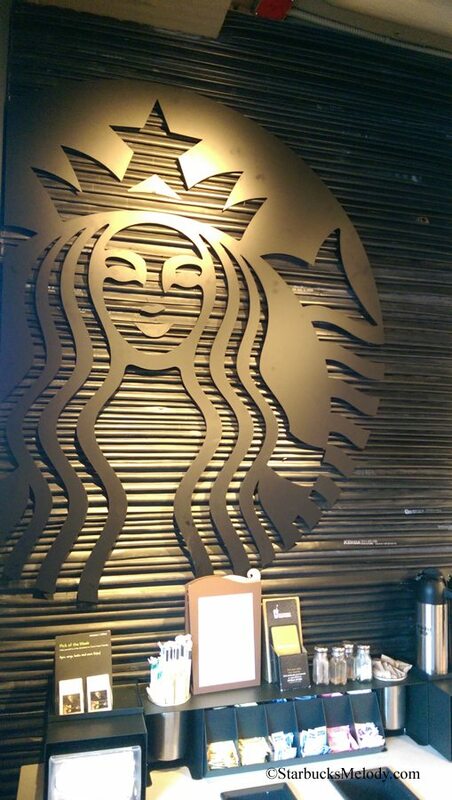 There are only 19 Starbucks in the company portfolio that fit into this unique design profile. 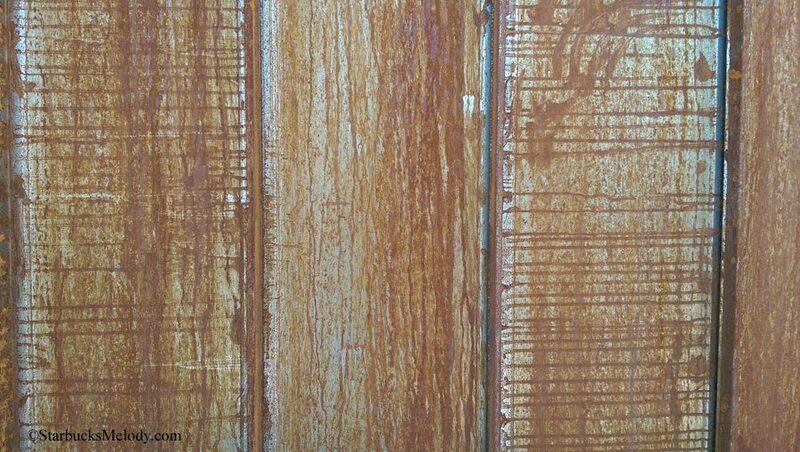 One thing about this store is that it has a rusted patina on the exterior of it. 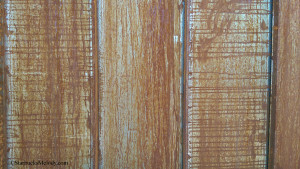 If you touch the patina, you’ll end up with a little rust on your hands. It gives this store an incredibly industrial look. 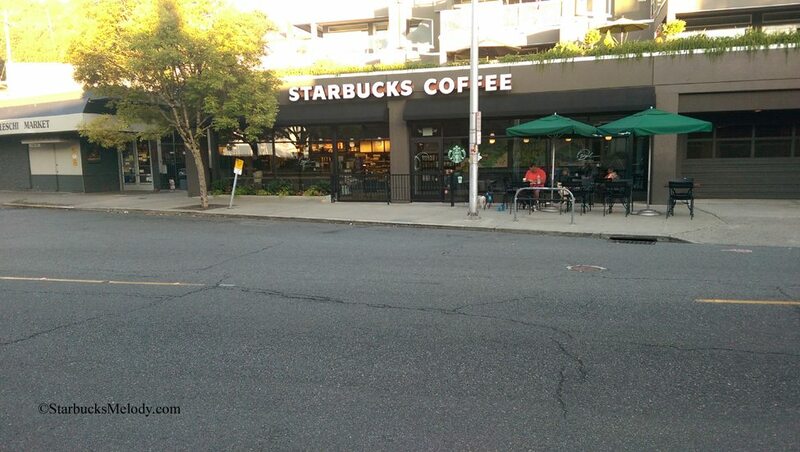 This is designed to fit in with the area, which looks like a very industrial neighborhood of Portland. 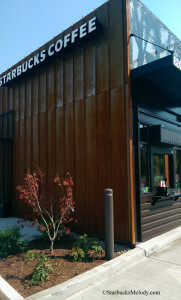 It’s interesting to compare and contrast this with the Woodburn, Oregon Starbucks, located in a more wooded setting, and has a wood facade with reflective panels to capture the reflection of the area’s foliage. Also I want to mention the newest Clover – Reserve Starbucks in Seattle. 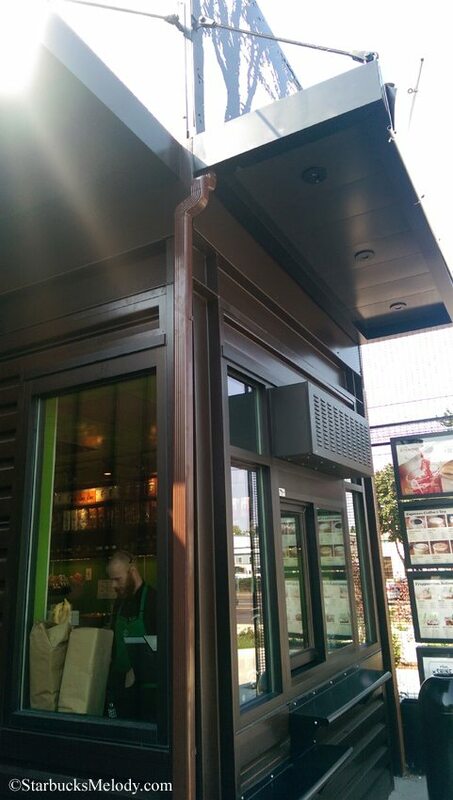 It’s actually a major remodel of a Starbucks that has been around for years. 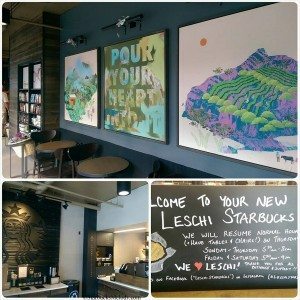 The Leschi Starbucks has just finished their major remodel and is now a Clover – Reserve store. I like the Siren above the condiment bar – if you look closely, it’s made out of inner tubes. The Leschi neighborhood of Seattle has a lot of bicyclists so it seems fitting. I also like the store’s unique art work. I dropped by very early yesterday morning, shortly after they opened because the times I’ve visited before, this store has been too busy to get good pictures. 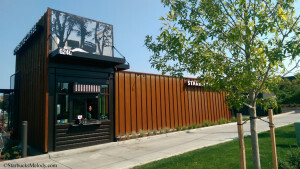 Hope you enjoyed this quick look at two very different Starbucks stores. 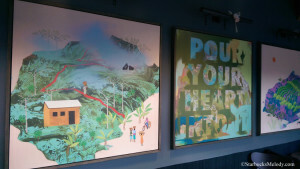 Great pics- love the Siren on the wall. 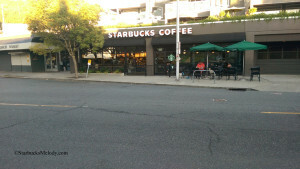 I continue to find it interesting that it seems that SB is expanding stores in the northwest! Have not seen any new stores by me. Wow! 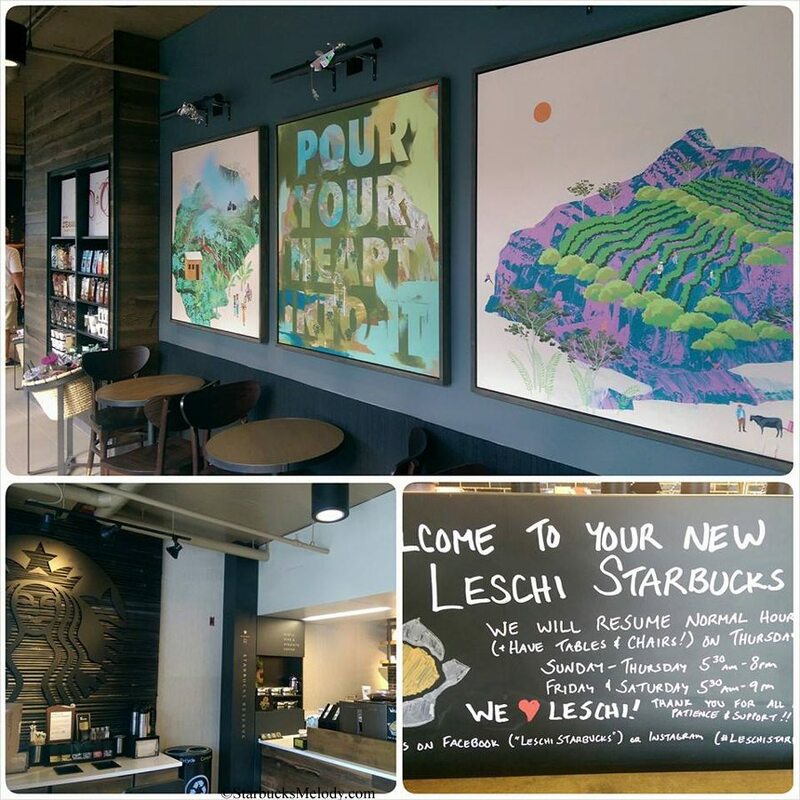 The Leschi store looks completely different! So cool! 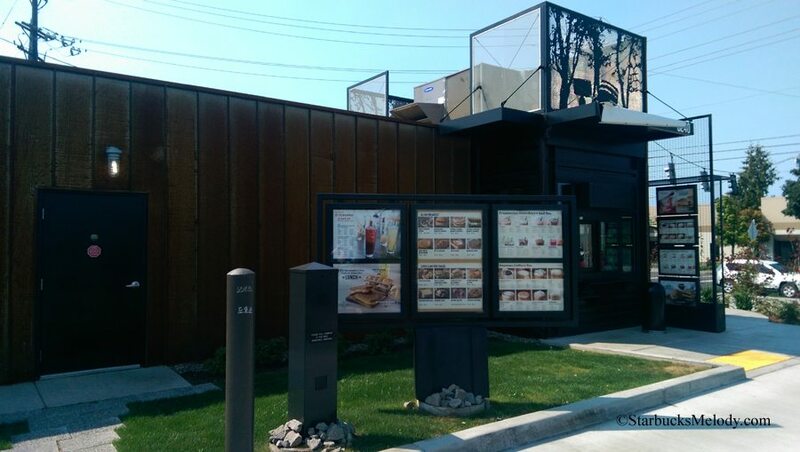 We’ve had a couple of amazing major remodels here in the Fresno area, really finally getting rid of the cookie-cutter design that had prevailed for years. They are heavy on repurposed materials and cool, functional materials. 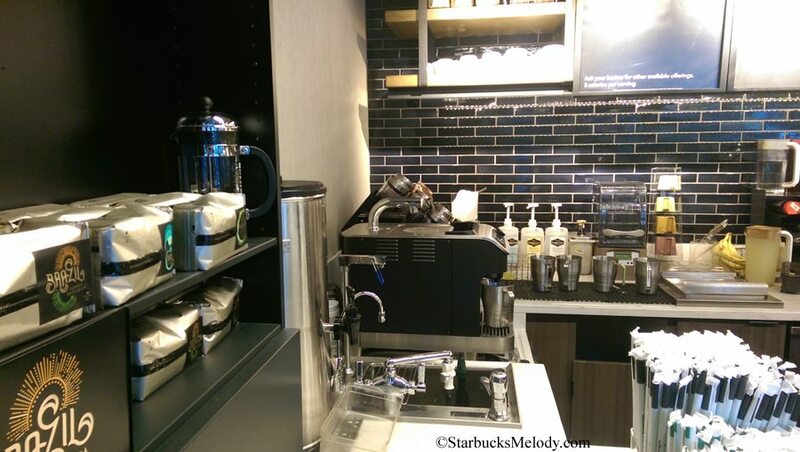 However we still don’t have a Clover – Reserve store in our area. 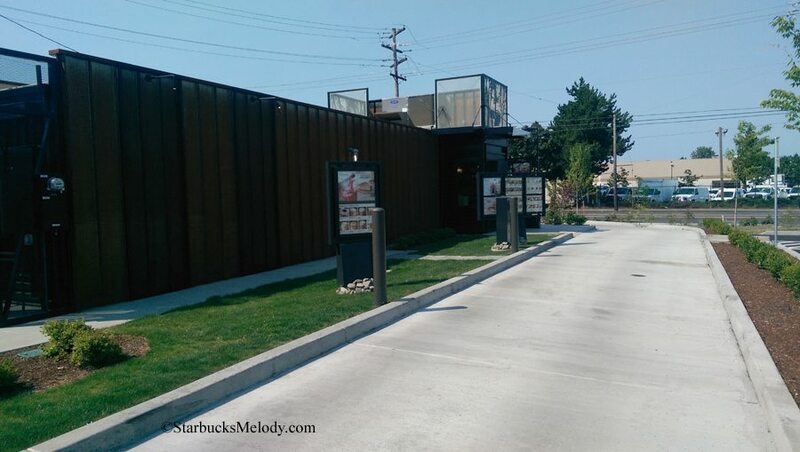 We’re like the ugly step-child, selling all the Frappuccinos through mostly drive thru stores, but forcing us to drive over two hours in any direction to get a Special Reserve coffee. 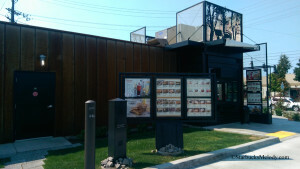 Hoping that somehow, somewhere, a new store or remodel will prove me wrong in the near future.